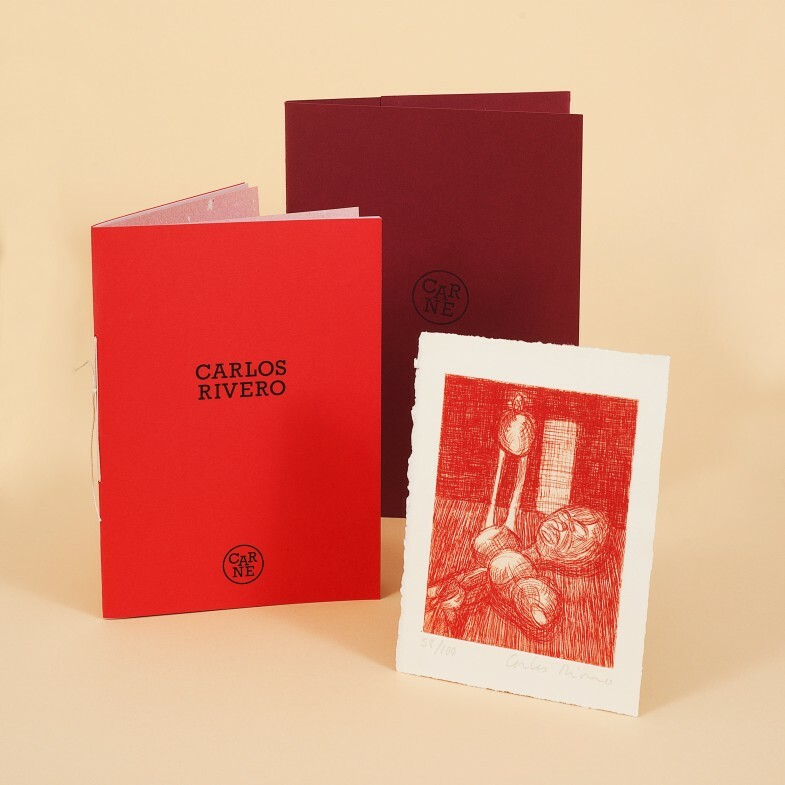 Artist book for Carlos Rivero, made by La Piscina Editorial. 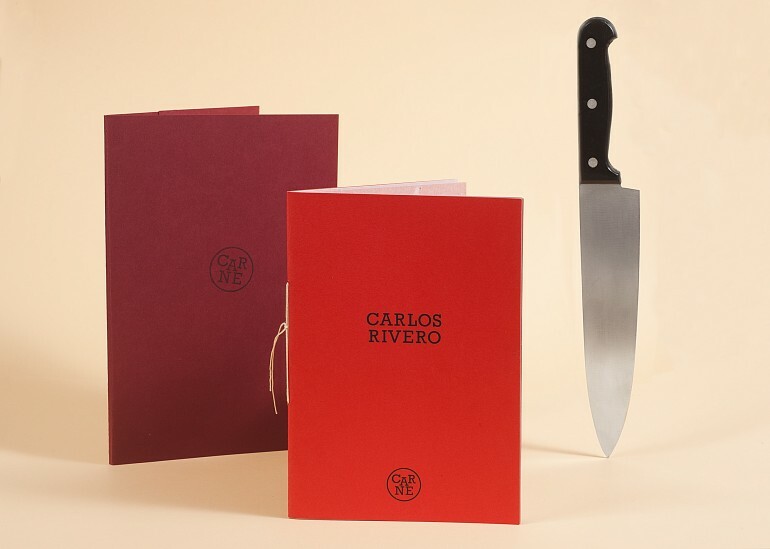 Carlos commissioned us to produce his side project: artis book edition called “Carne”. 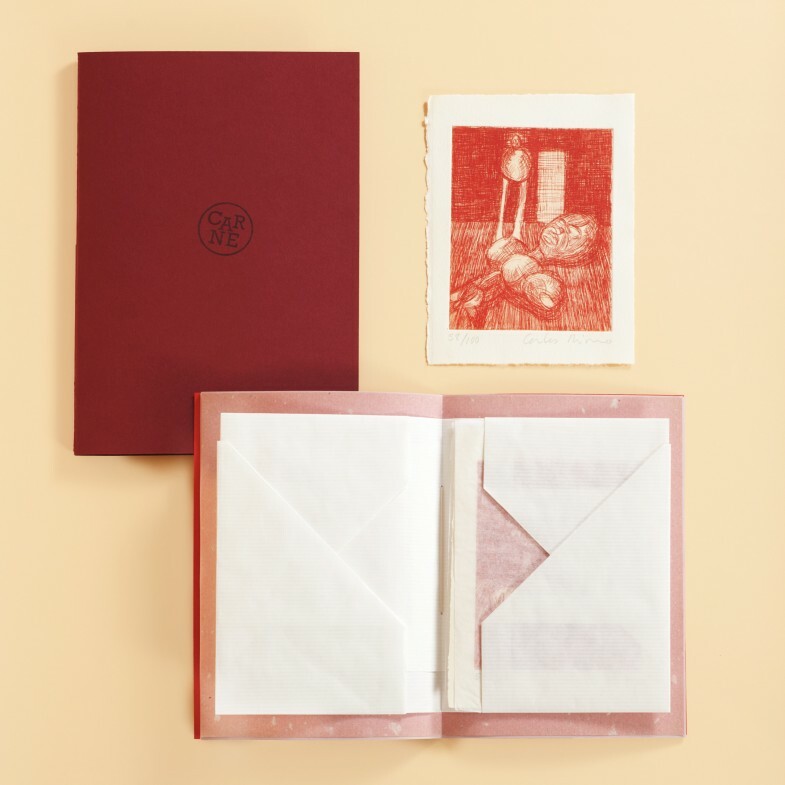 The first issue includes three of his original engravings. 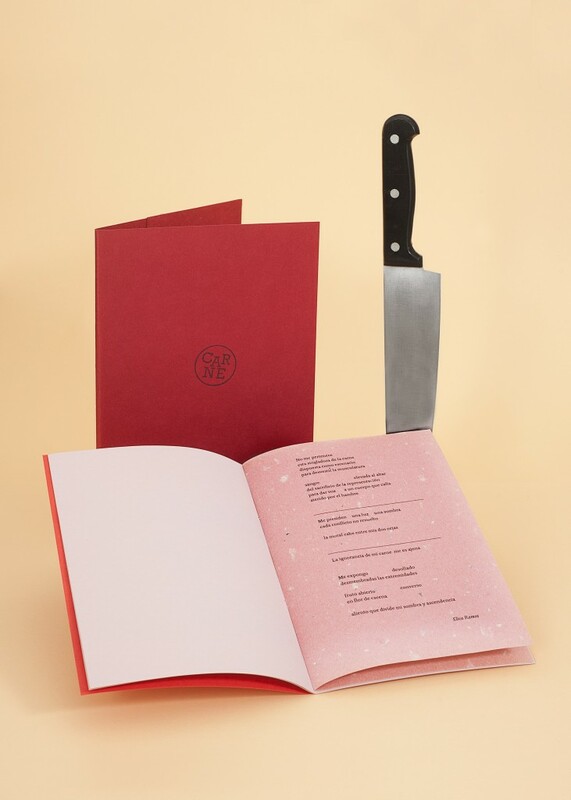 Limited edition of 100, hand binded, 210 x 148mm, 28 pg. 2012.